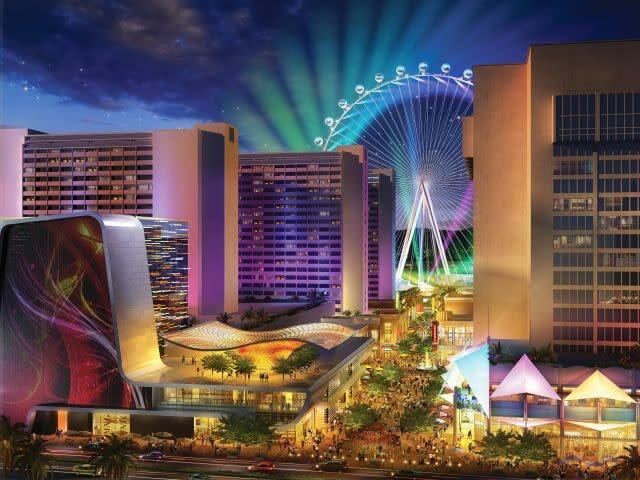 In the future, it looks like the war for the largest Ferris Wheel won't be between the Singapore Flyer and the (incomplete) Beijing Greet Wheel -- it'll be between two as-yet-unbuilt structures in Moscow and Las Vegas. Last week, tourism officials revealed plans to build a 220-meter high observation wheel in the Russian capital, in a bid to bolster visits to Moscow. Instead of rotating spokes used by many other constructions, the structure would use cabins which move inside the wheel on rails, allowing the structure to be far larger. Underneath, officials say that a concert hall, galleries, shopping space and restaurants could fill a 30,000 square meter base center, topped off with a 320-meter spire. Locations reportedly under consideration include Vernadsky Avenue, the OCE and in Gorky Park. At 220 meters, Moscow's construction would be the largest such tourism attraction in the world, dwarfing even the project slated for Las Vegas announced in August this year. The Las Vegas High Roller, part of a wider development called Project Linq, is being built by Caesar's Entertainment and should soar 168 meters into the sky, making it, for the moment, the tallest in the world. Directly facing Caesar's Palace hotel and casino, the wheel and complex should span more than 200,000 square feet (18,600 square meters) and will feature dining, beverage and entertainment attractions when it opens in 2013 -- but it remains to be seen, with Moscow on its tail, whether the High Roller will be high enough.